Captain Atom Vol. 1 – 4 + Extras (Collection) (1965-2017) : Captain Atom is a fictional superhero appearing in American comic books published by DC Comics. 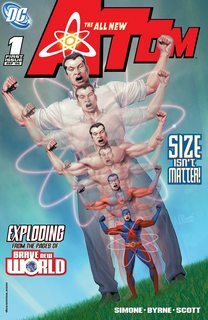 Captain Atom has existed in three basic incarnations. 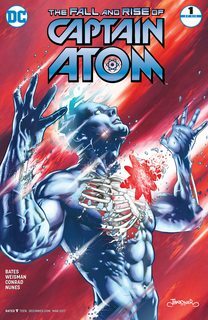 Captain Atom was created for Charlton Comics but was later acquired by DC Comics and revised for DC’s post-Crisis continuity. 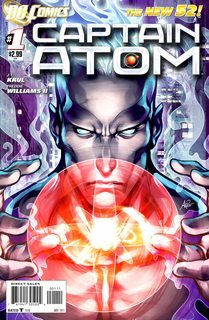 In 2011, DC Comics relaunched its superhero comics and restarted the histories of some characters from scratch, including Captain Atom, giving him a new origin, appearance and slightly altered powers. The character of Captain Atom was the inspiration for the character Doctor Manhattan who was featured in the miniseries (and later live-action film adaptation) Watchmen.